Have you seen L'Oreal Revitalift Deep-Set Wrinkle Repair Eye Cream yet? 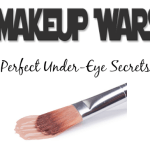 It's an innovative wand that has an eye cream on either end; one cream for AM use and another for PM use, providing continuous 24 hour, anti-aging, eye benefits. I've tested L'Oreal Revitalift Deep-Set Wrinkle Repair Eye Cream and am giving it high marks. When it comes right down to it, the two eye cream formulas make sense because they're based on the concepts of protect (AM) and repair (PM). The AM formula includes broad spectrum UVA/UVB SPF 15 with Fiber-Restoring Complex, which helps to repair the support structures in the skin–what L'Oreal refers to as the "skin's fiber capital". 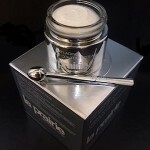 The PM formula also contains Fiber-Restoring Complex and includes Pro-Retinol A to smooth skin, repair crow's feet and improve the appearance of deep-set wrinkles. 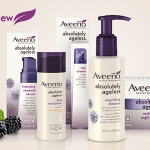 Because the PM formula contains retinol, if your skin is sensitive or prone to irritation, be sure to test first. I didn't experience any irritation with this product. Overall, I'm impressed with L'Oreal Revitalift Deep-Set Wrinkle Repair Eye Cream. It's a good, basic anti-aging eye cream that protects and repairs. And it's an excellent value at less than $20. 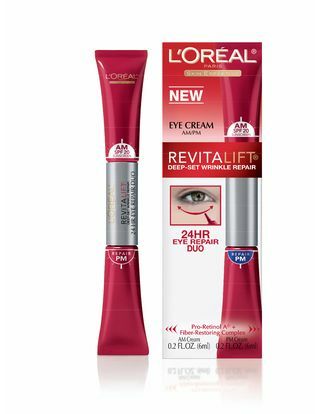 L'Oreal Revitalift Deep-Set Wrinkle Repair Eye Cream is available in drug, discount and mass retailers and has a suggested retail price of $19.99.